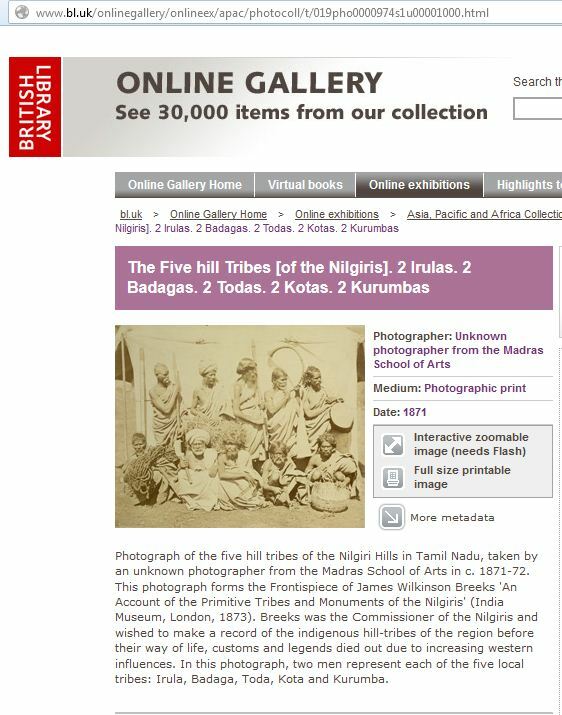 “Photograph of the five hill tribes of the Nilgiri Hills in Tamil Nadu, taken by an unknown photographer from the Madras School of Arts in c. 1871-72. This photograph forms the Frontispiece of James Wilkinson Breeks ‘An Account of the Primitive Tribes and Monuments of the Nilgiris’ (India Museum, London, 1873). 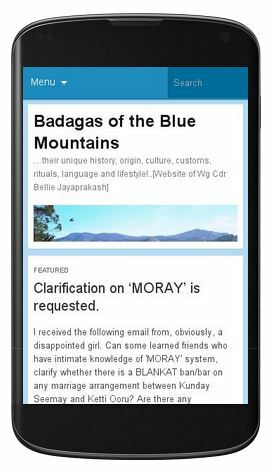 Breeks was the Commissioner of the Nilgiris and wished to make a record of the indigenous hill-tribes of the region before their way of life, customs and legends died out due to increasing western influences. 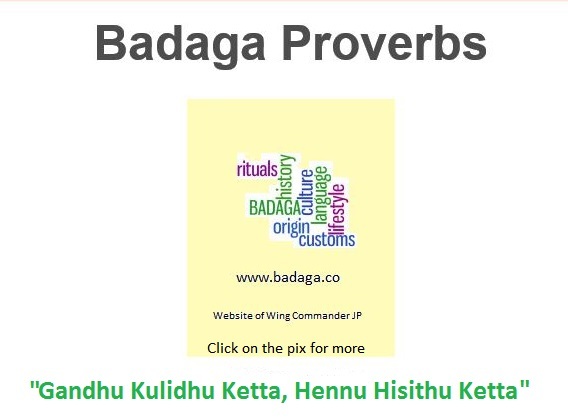 In this photograph, two men represent each of the five local tribes: Irula, Badaga, Toda, Kota and Kurumba”.